What a year. I have a delicious new baby boy who zooms around the house like a maniac and tries to test every boundary we set up for him, with varying degrees of success. (We think it’s just a matter of time before he figures out how to unlatch the complex mechanism to the baby gate.) My heart is full, which is why it seems so petty to lament that my holiday cookie trays have been woefully empty this year. 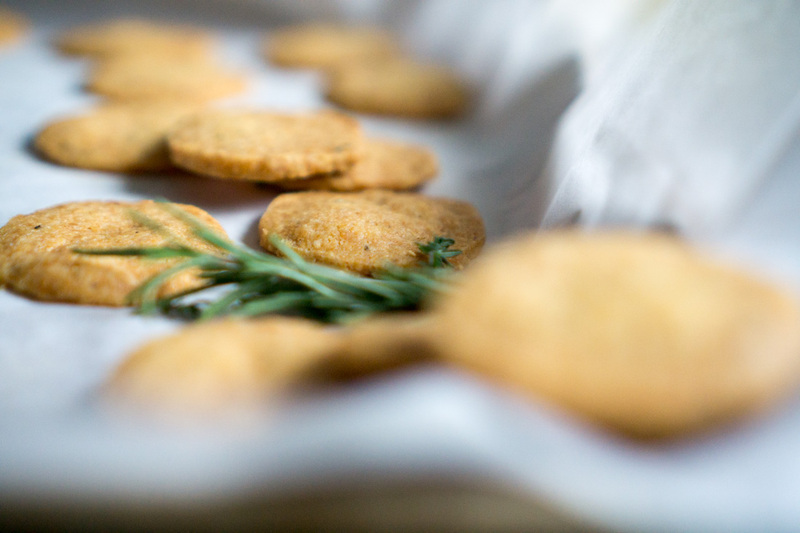 With no time to do any sort of detail-focused baking, and the new year just hours away, I think I’ll make more of these Parmesan Shortbread Crackers scented with thyme and rosemary. I’ve previously written about my deep love for crunchy, savory snacks. 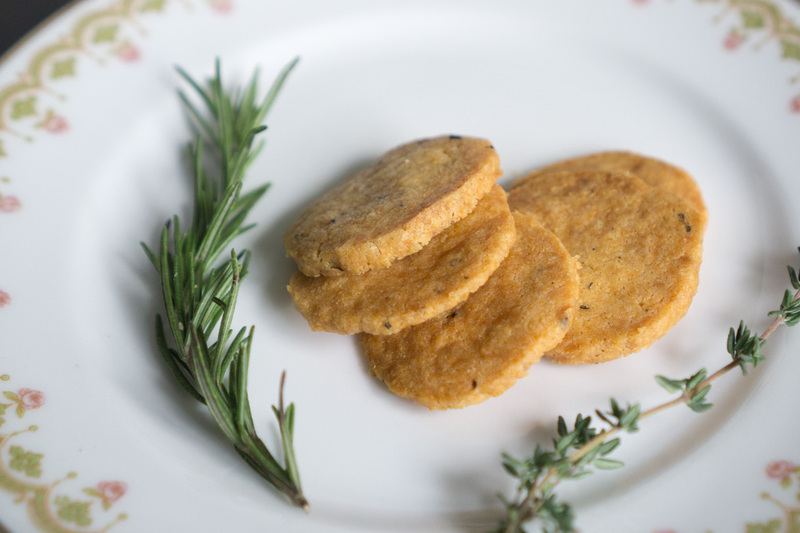 While I generally let Cheez-Its, Goldfish, and rice cracker manufacturers satisfy my crunchy snack cravings, occasionally I try to create a new favorite crunchy snack in my own kitchen. 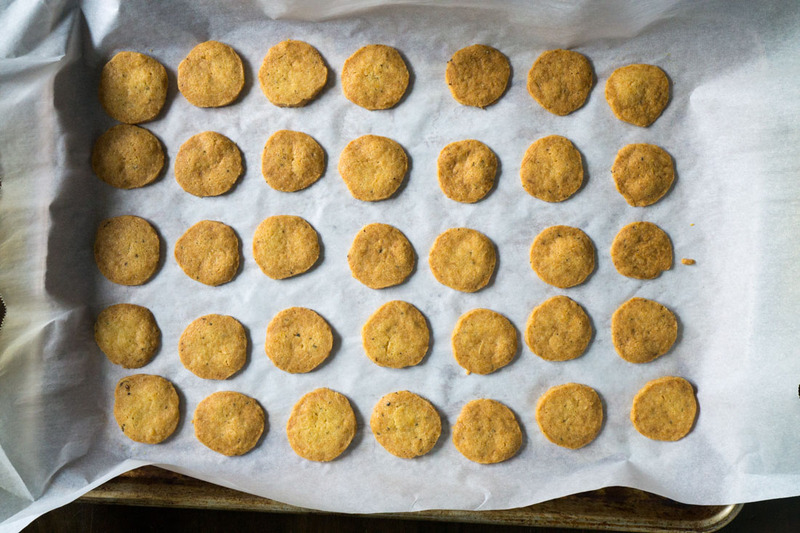 I vaguely remember that I used to make a complicated cracker recipe when I was in high school, which involved copious amounts of sharp cheddar cheese and cornmeal and required being rolled out, cut with round cookie cutters, and carefully transferred with an offset spatula to greased baking sheets. No, no no. I have no time for such shenanigans. These light, buttery, crispy crackers are significantly better than those doughy lumps I baked in high school, and so easy I think they might compete with boxed cake mix for least amount of effort expended in the kitchen. These crackers require what feels like way too much parmesan cheese. 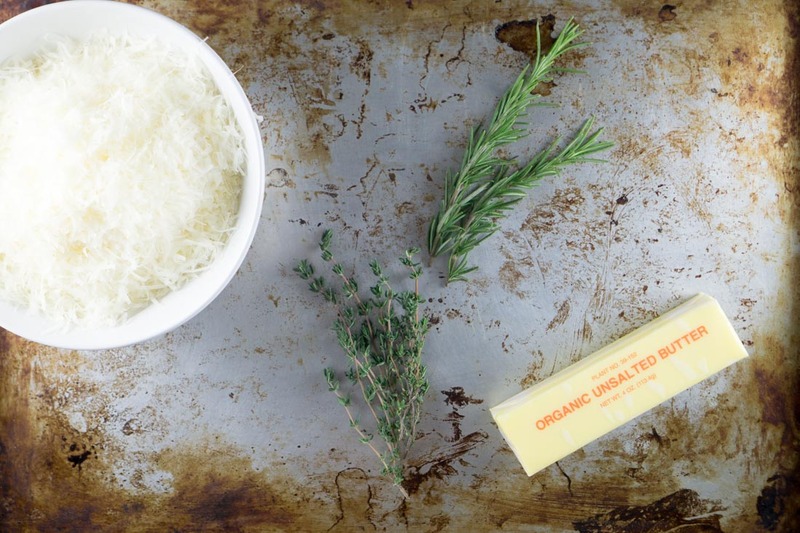 Use a domestic parmesan cheese–no need to call in the services of fancy Parmigiano-Reggiano here. 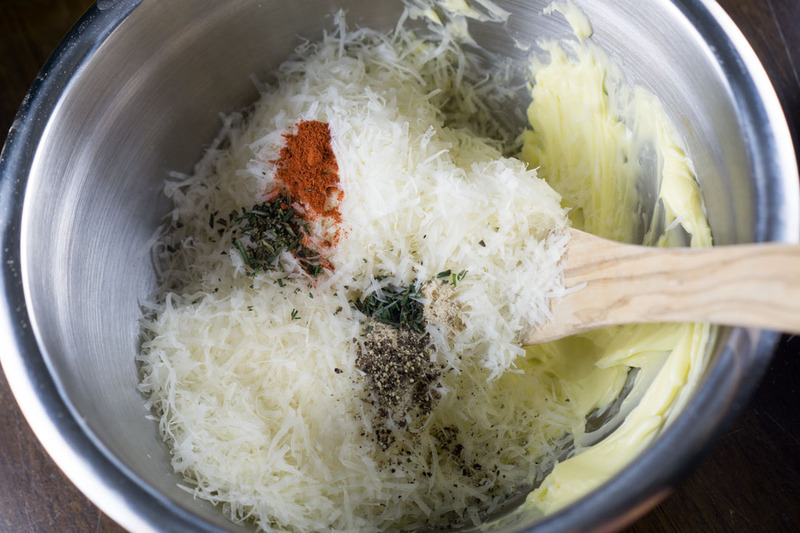 There is one thing I won’t compromise on, though–this recipe calls for freshly-grated parmesan cheese. The pre-grated stuff sold in the stores contains weird additives like cellulose (basically wood pulp), mmmm. …into a delightful super-Parmesan butter paste. If you just want to call it a day here and spread this paste on some crackers, I would understand. I’m sure it tastes amazingly delicious. Next, mix in the two types of flour and a tiny bit of water until the dough starts pulling together in a crumbly mass. The rice flour helps create a flakier, “shorter” texture in the dough. At some point, the dough will get too hard to stir. You’ll say “screw it” and dive in with your hands to knead the crumbs together. That’s absolutely allowed. 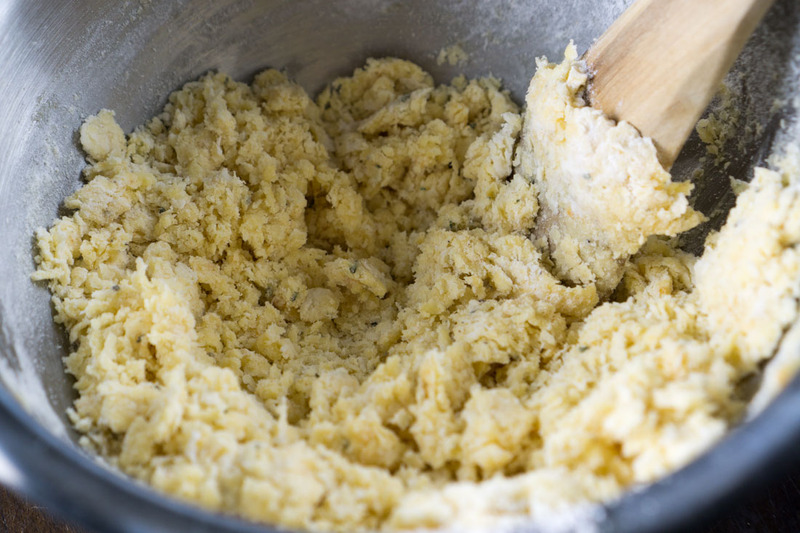 Knead the dough briefly until it holds together, and form it into a rough oblong. 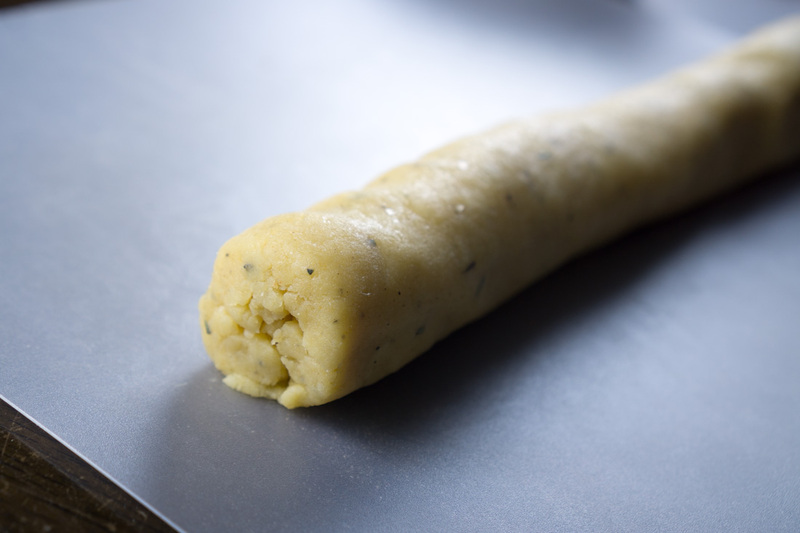 Roll this oblong into a 12-inch-long cylinder. 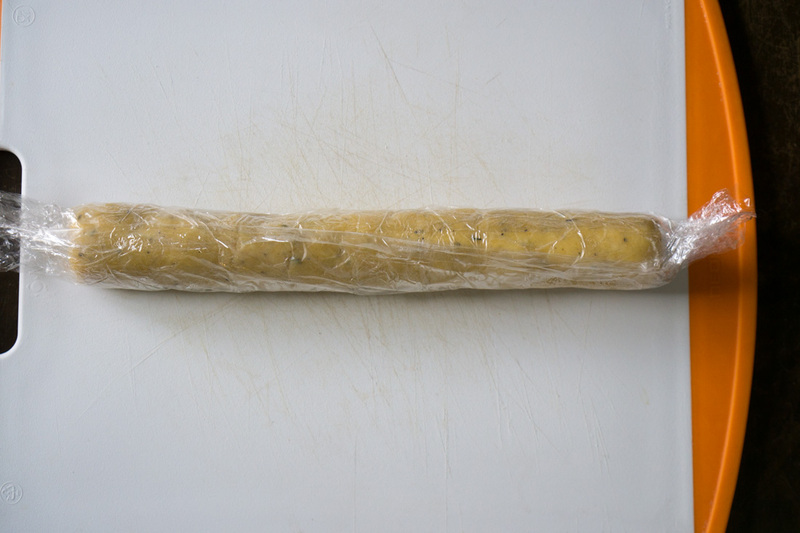 Wrap the cylinder in plastic and refrigerate for at least an hour. When you’re ready to bake the crackers, remove the tube of dough from the refrigerator and let it sit for about 5 minutes to take the chill off the dough. Now for the fun part: unwrap the cylinder and start slicing. About 1/8- to 1/4-inch thick should do it. It’s ok if there are small cracks in the dough slices. Most of the time they’ll fuse together and disappear when the crackers bake. But if some cracks remain, you should definitely eat the ugly, cracked crackers before anyone else can see them. In fact, I’ve been doing that for several days now, and I’ve rid the batch of almost every ugly cracker. It’s a tough job, but somebody’s got to eat cheesy, buttery crackers. Cook’s treat! I wanted these crackers to taste intensely cheesy, perfumed with herbs, and with a little zing from the black and white peppers. 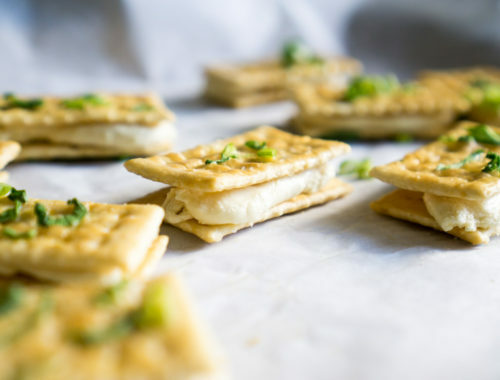 You can add more white pepper or even a little cayenne if you want a spicier cheese cracker. 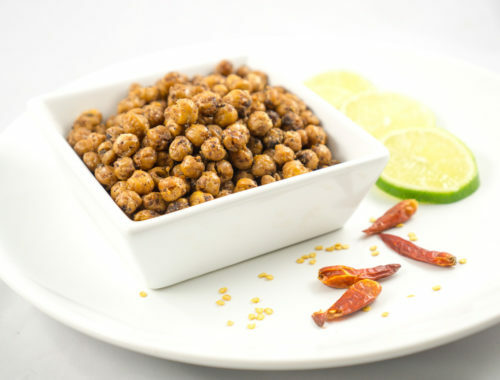 If you need a snack to round out your New Year’s Eve celebration, these would go great with a glass of champagne. Happy baking, and happy new year! 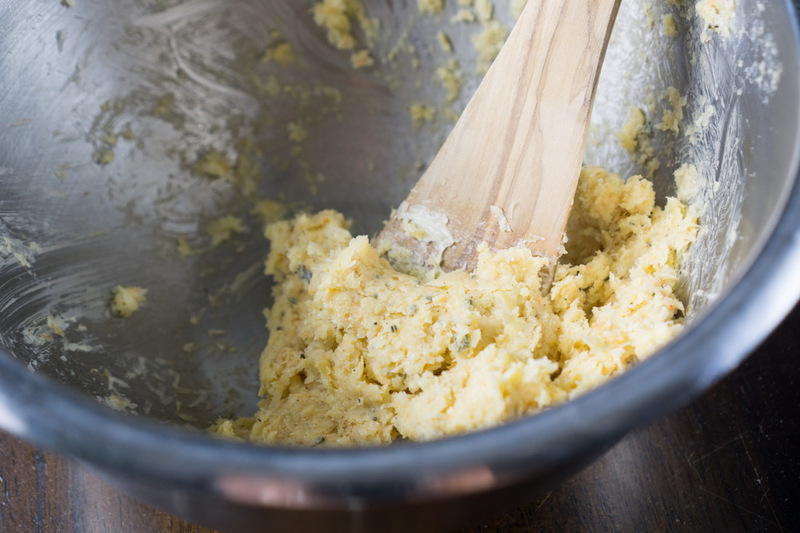 Measure the flour by spooning it into your measuring cup, and then leveling off the measuring cup with the straight-edged back of a knife. Set aside. Add the parmesan, herbs, paprika, and peppers, and stir until evenly combined. Add all-purpose flour, rice flour, and 1 tablespoon of water and stir until evenly combined. 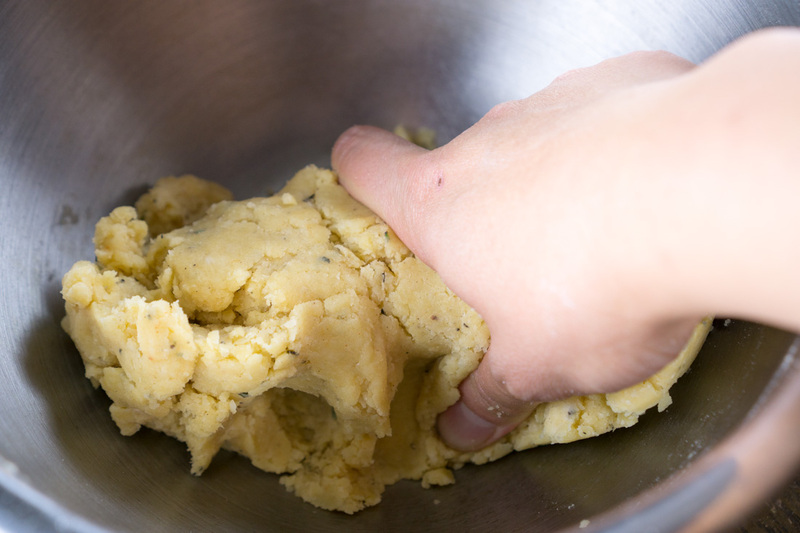 You will probably end by kneading the dough with your hands. Dough will be very stiff. 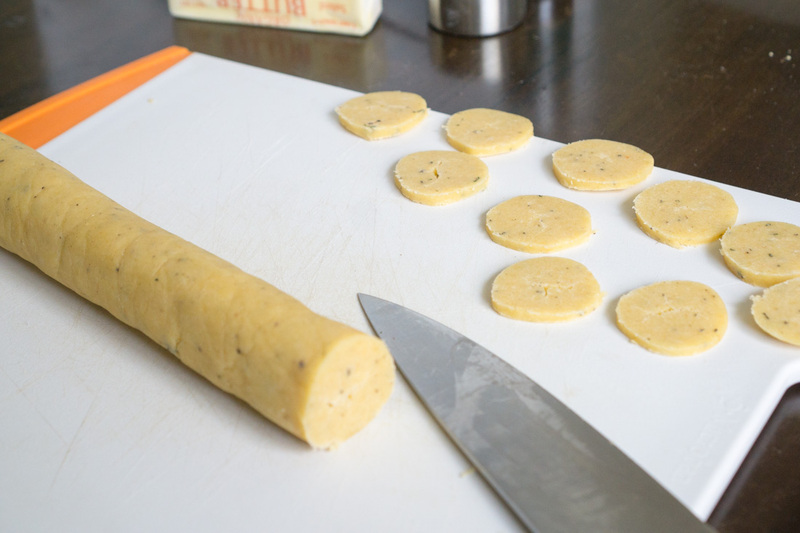 On a clean surface, roll the dough into a 12-inch cylinder, adding flour if necessary to prevent sticking to the rolling surface, and wrap it in plastic wrap. The dough might still be a little crumbly, but try to smush it together as best as you can (adding too much water might make your crackers tough). Chill until firm, at least 30 minutes. Unwrap the dough log and slice 1/8 to 1/4-inch thick. 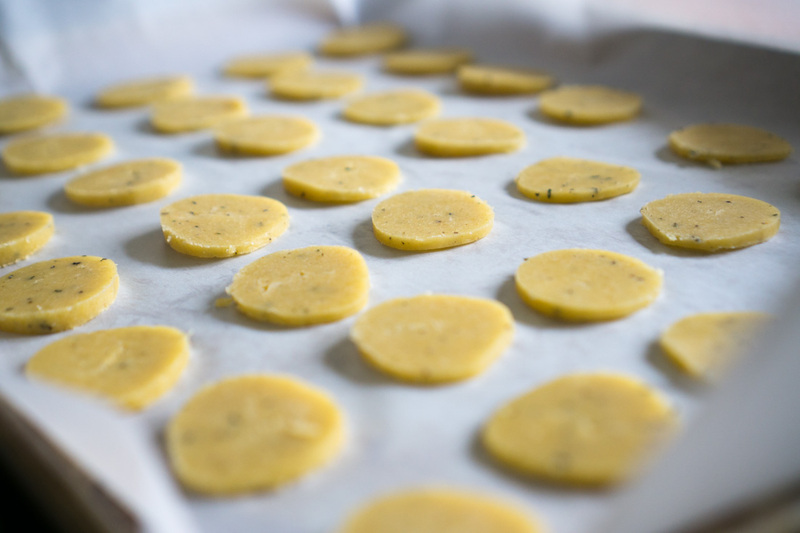 Place the crackers on a sheet pan lined with parchment and bake for approximately 15-19 minutes, or until well-browned. 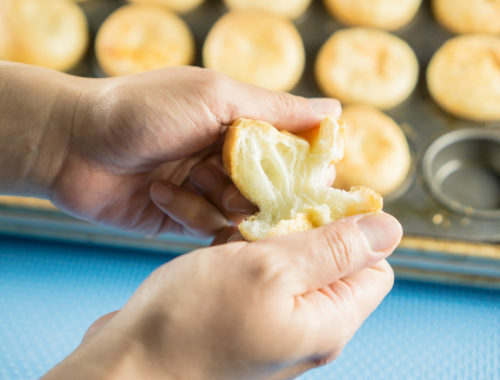 Rotate sheet pan once while baking so that crackers bake evenly. Watch carefully in the last few minutes of baking so they don't burn. Remove from oven and let cool on sheet pan.